Do you have a small bathroom that you’d like to update, but you’re not sure where to start? 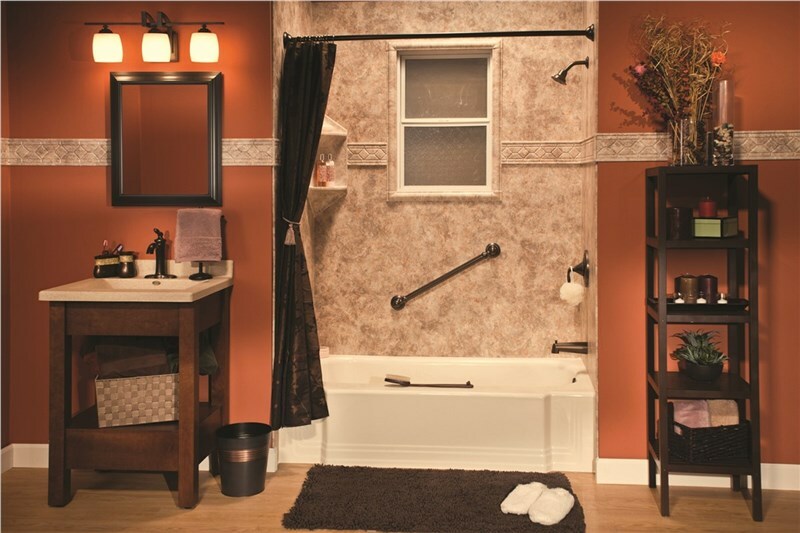 Here at The Bath Company, we pride ourselves on being the Quad Cities Area experts on small bathroom remodeling. We’re full of small bathroom ideas—we can take any bathroom, no matter the size, and make it feel new again—at affordable prices, no less! We’ve performed over 10 000 bathroom makeovers and have over 10 000 happy customers as a result. We pride ourselves in completing high-quality, meticulous bathroom remodels in one or two days, so you won’t need to stress about scheduling or being inconvenienced. Here are three ways we love to perform miracle bathroom makeovers on small bathrooms! If your bathtub is looking dated, worn, or damaged, it might be time for a tub replacement. No matter your unique sense of style, we have customizable color, hardware, and tile options that will update your bathroom just how you want it. We can replace your old bathtub with a modernly styled, low-maintenance acrylic tub that’s resistant to mildew and mold—in as little as a day! If your shower surround or tiles are flaking, molding, or cracking, it’s time for a new shower surround. We can design and build a modern, grout-free shower surround that perfectly complements your home’s unique aesthetic. You can choose from dozens of hardware, pattern, and color options. You’ll have a brand new look without needing any more space at all! The key to successful small bathroom makeovers is in making use of the space you have. If you seldom use your bathtub, a tub-to-shower conversion is a perfect way to open up more space in your bathroom. We can remove your old tub and replace it with a luxurious walk-in shower that’s both stylish and accessible. You can use your new space to add a touch of style or function—a shelf, a full-length mirror, a painting—the options are endless! If you’re ready to move forward with your small bathroom makeover, call us today to schedule a free, no-obligations in-home estimate. Our expert design team will go over how you can create a whole new look with just a few small changes. You’ll love how quickly and inexpensively you’ll be able to enjoy your brand new bathroom oasis!